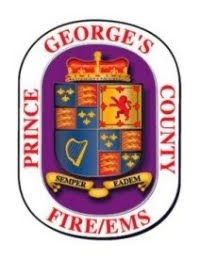 The Prince George's County Fire/Emergency Medical Services (EMS) Department sincerely wishes everyone a happy and safe Independence Day celebration. We understand that fireworks are a traditional component of the celebration and we strongly encourage everyone to visit one of these approved fireworks displays. All consumer purchased fireworks are illegal to purchase, posses, transport and use in Prince George's County. This law has help to reduce the number of injuries and fires typically experienced during this festive time of year. The following public and municipal locations have obtained appropriate permits to conduct an approved fireworks display. Some locations may charge an entrance fee, please call ahead for details. Most fireworks displays start shortly after dusk (approximately 9:00 pm). City of College Park MD - University of Maryland Parking Lot 1 Concert at 7 p.m. Fireworks at 9 p.m.
City of Greenbelt MD - Buddy Attick Park 555 Crescent Road. Fireworks at Dusk. Bowie, MD - Prince George’s Stadium, 4101 NE Crain Hwy. Fireworks after the Baysox baseball game.